Meryl Comer is an Emmy award–winning reporter, veteran TV producer, and business talk show host. She is president and CEO of the Geoffrey Beene Foundation Alzheimer's Initiative, which promotes early diagnosis, innovation, and national public service campaigns like Geoffrey Beene's Rock Stars of Science™ and the 2009 HBO Alzheimer's Project. A co-founder of WomenAgainstAlzheimer's, she is a recipient of the 2005 Shriver Profi les in Dignity Award and the 2007 Proxmire Award. Comer has been the subject of prime time news stories by ABC's Nightline and the PBS NewsHour with Jim Lehrer. Alzheimer’s disease is a slow killer of the health and spirit of the caregiver- the secondary victim. Comer’s pain is contained in elegant writing and channeled into a worthy purpose. This book is a call to action as haunting and urgent as Rachel Carson’s Silent Spring. This story is real. Meryl and Harvey are real. I don’t know what it’s going to take to wake the public up to this emerging catastrophe, but I suspect that emotional honesty is a key ingredient. Thank you, Meryl Comer, for telling it exactly like it is. — David B. Agus, M.D., Professor of Medicine and Engineering, University of Southern California and author of The End of Illness and A Short Guide to a Long Life. 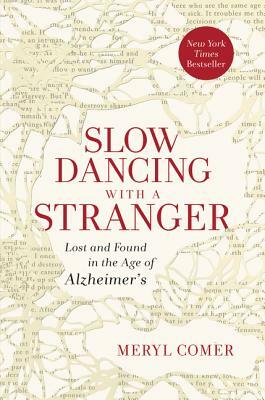 Meryl Comer offers an unvarnished account of her experience as her husband’s caretaker after he was diagnosed with Alzheimer’s. Comer has become an advocate for the need for early diagnosis and treatment for Alzheimer’s. A poignant love story with a powerful message.